First up, cleansers. 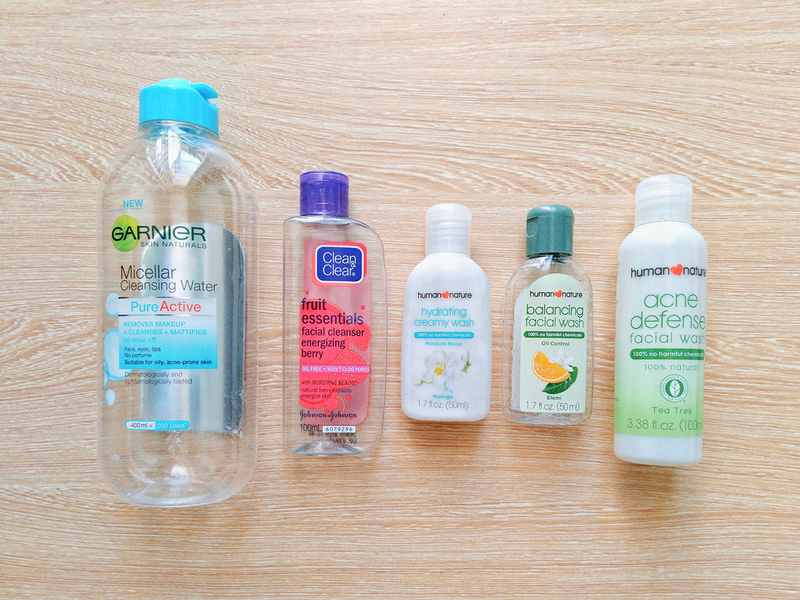 I finally used up the Garnier Micellar Cleansing Water! I think I mentioned this before, but the reason I got it was because everyone kept praising it for being able to remove super waterproof makeup well. I tried it and it was just ok. I wanted to finish this bottle quickly so I could move on to using a different one, but I ended up using it for almost a year, lol. The bottle I had was 400ml, so I guess it's good value for money? If you don't wear a lot of waterproof makeup, I think this should be good enough. But personally, I went back to using Bifesta. I finished my COSRX Good Morning cleanser late last year, but I wanted to look into cheaper alternatives so I didn't repurchase. I tried this cleanser on a whim, but it was just ok. I don't think it's even low pH – I only really liked the fruity scent, which was why I bought it in the first place. After that, I asked my friends on Twitter for alternatives to the COSRX, and a friend offered to send me some Human Nature cleansers to try. She sent me their Balancing Facial Wash and Hydrating Creamy Wash. I've wanted to try Human Nature face products for a while now, especially after I found out that their cleansers and toners were all pH-balanced. I just didn't know where to start. I'm glad that I got to try them finally. I really liked both variants, but I liked the Balancing one just a little bit more. The cleansers are P200 for the 200ml bottle. I plan on repurchasing the Balancing Facial Wash (and maybe check out the respective toner, too) as soon as I finish up the cleanser I'm currently using. Bought this as an extra cleanser because Aian said my usual cleanser and the Human Nature Balancing one made him break out. I got to try this a few times and it's also really good! My memory's a bit fuzzy, but to me this one felt the closest to the COSRX cleanser from all of the Human Nature cleansers that I tried. Even the tea tree scent is the same. And it's only P169.75 for a 100ml bottle, which is so much cheaper compared to COSRX's ~P600 one! If you're looking for an alternative, I recommend checking this one out. One of my favorite discoveries of the past year—the Kiku-Masamune High Moist! I became super curious about it after seeing so many good reviews on r/AB, and I finally caved in when I found it at Sasa in KL. 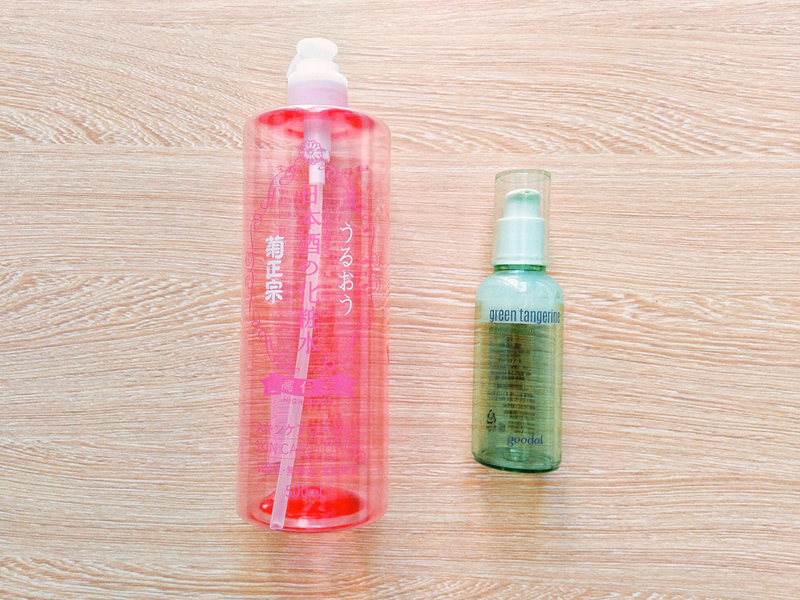 It's both hydrating and brightening, which I love. 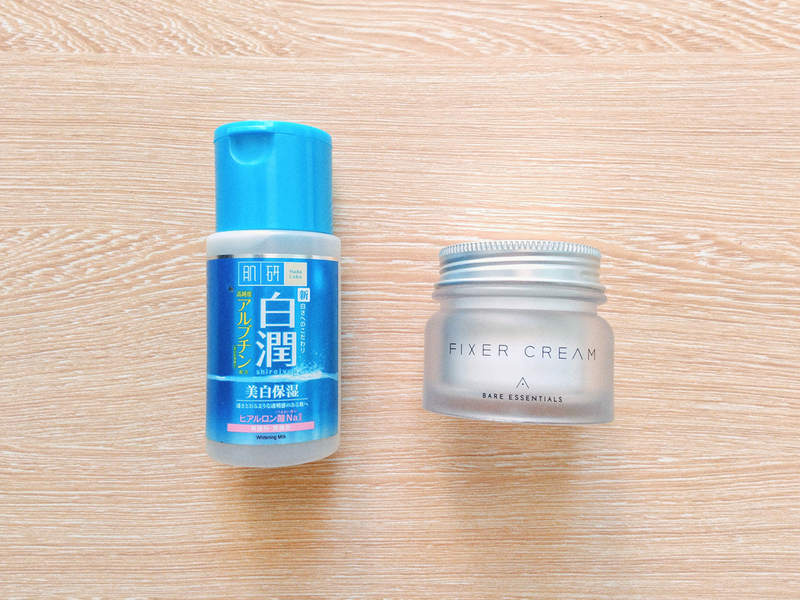 I can't really compare it to Hada Labo toners, because I like both a lot lol. The only big difference is that the Kikumasamune is watery, while HL toners are more like a lotion. I've read a few posts saying the Kikumasamune takes a bit longer to absorb, but I didn't really notice. To be honest, the number one deciding factor for me is the price. The Kikumasamune comes in a HUGE 500ml bottle, so you get way more product at the same price point as HL. Strangely though, I ended up finishing this way earlier than I thought. I think it was because I started doing 3-skin and 7-skin experiments at some point. I found that just 1 layer of this was more than enough; 2 layers if my skin was feeling dehydrated. I really wanted to repurchase, but I couldn't find it while we were in KL last December. Maybe next time! I got this during Club Clio's opening in Manila last year. Since my Benton Snail Bee essence was running low at the time, I thought I'd give this one a try. Honestly, I really wanted to love this serum, but for some reason I just couldn't fit it into my routine, which is why it took me so long to finish this one 50ml bottle. The serum itself does its job of hydrating well, but upon application it sometimes leaves a sort of film on my skin and causes whatever I put over it to pill up afterwards. I feel like it's just a matter of this product not working well with all my other skincare products. Which is too bad, because it actually works well on its own. I also finished my nth bottle of the Hada Labo Shirojyun Milk. To this day, I still have not found a better moisturizer for my skin. After finishing this bottle I used a bunch of other moisturizers, but my mind still kept thinking about the HL. I guess when you find the one you love, there's no replacing it! 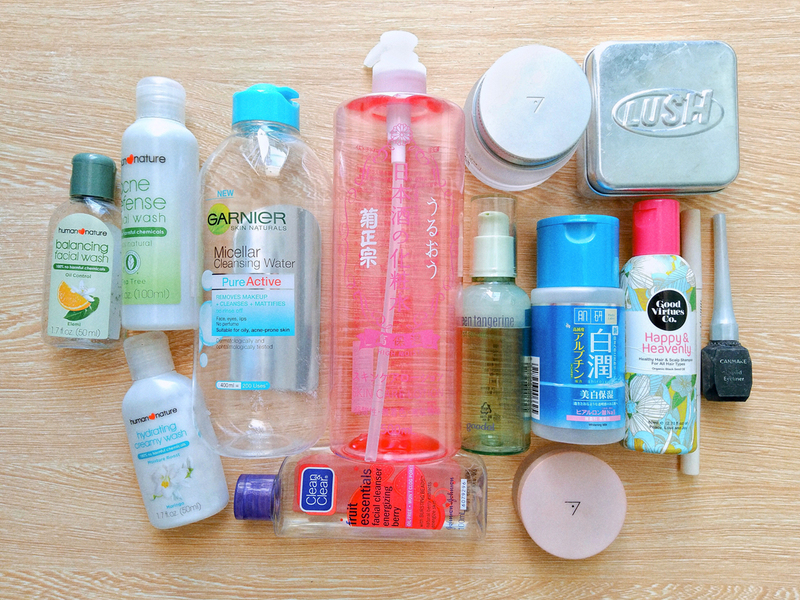 I hate that refills are hard to come by locally though (the ones sold on Shopee are usually overpriced), because I always keep the empty bottles for reuse. 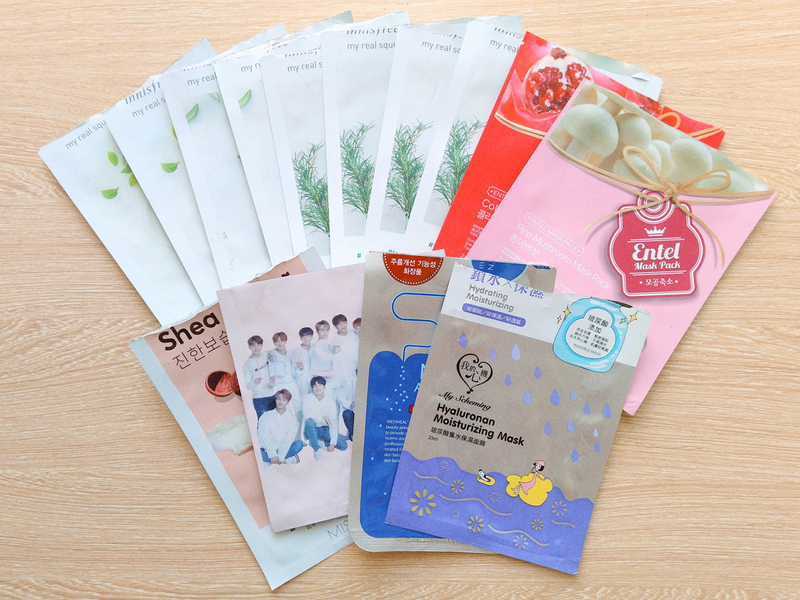 The ones I used the most are these Innisfree My Real Squeeze Masks. I bought a ton of them 2 years ago at the Innisfree store in KL. I got Aloe, Green Tea, and Tea Tree, which are all essence type masks. 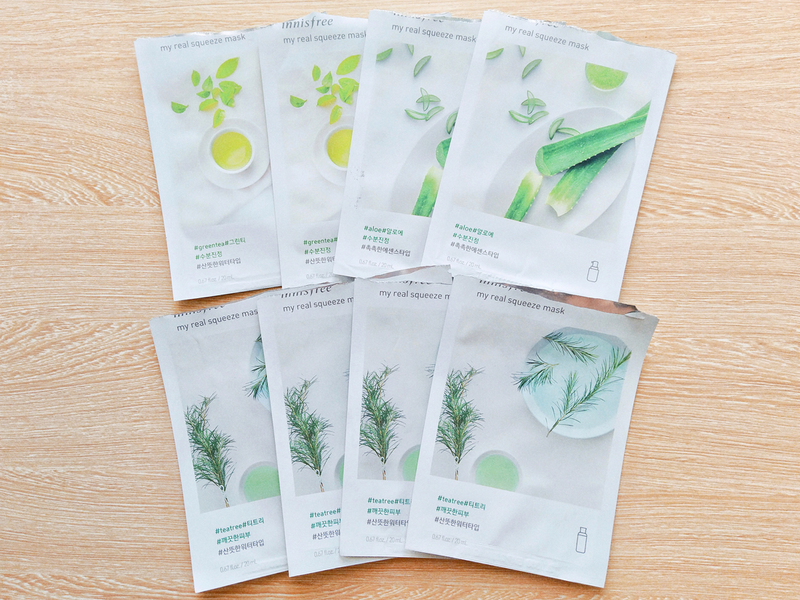 The reason why I love Innisfree masks is because they work well for me even though they're cheap (~P60 in KL, P45 each on Shopee). My skin always feels plump and hydrated the next day after using them. Plus they fit my face well! This year I used the Tea Tree variant the most, but I think in terms of overall effect they're all pretty similar. I plan on buying other variants next time, just to see if I'd find anything new that I like. I got these from the LOVEABOX mystery box that I won in December 2016. I don't remember much about them, so I'm assuming they were neither good or bad. Probably just ok.
Got this as omiyage from Sachi! It's a cream type sheet mask from Missha. 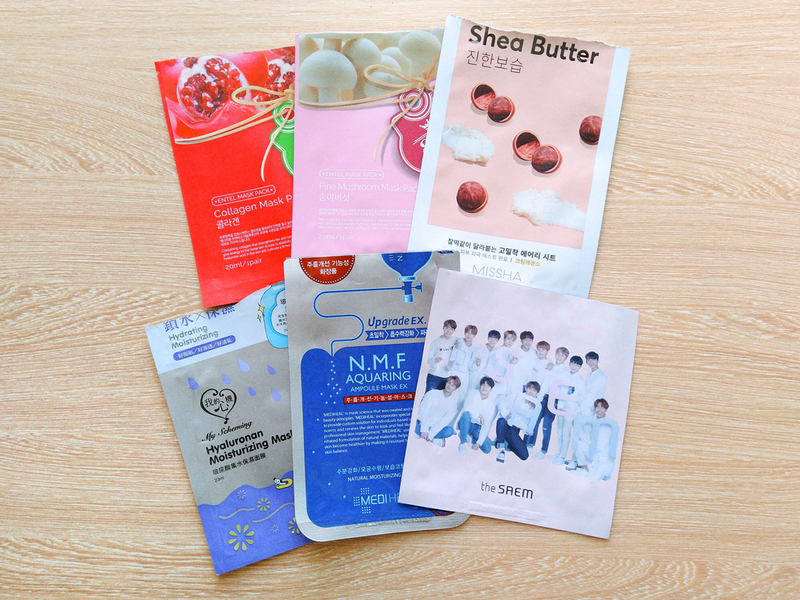 I've never tried cream type masks before, since I always go for the more watery essence type ones. This was...quite different from what I was used to. The sheet mask itself is thin, but the cream on it was so thick. Like I slapped a ton of cream on my face then put a mask over it. It even felt a bit hot, which was strange to me. Maybe it's the shea butter? My skin felt very soft afterwards, but using the mask itself was a bit uncomfortable because the cream was so heavy. I think this would work better for people with dry skin, or for people who live in colder climates. I picked this up on a whim while I was browsing PCX. I already knew about My Scheming because I'd tried (and loved) a couple of their masks before, so I wanted to at least buy one while I was there. I picked the Hyaluronan because I couldn't find my favorite L-Ascorbic Acid one. I ended up liking it a lot, so I might repurchase in the future. I did buy a box of the Bird's Nest Collagen Hydrating variant while we were in KL though, hopefully that one works for me! I got this one from Sample Room. As someone with oily-dehydrated skin, I tend to jump at any products that has the words "watery" or "aqua" on it. I'm glad I did so with this one, because it really worked well for me. My skin felt instantly hydrated after using it. A bit expensive though. If I have the budget for it, I might buy it for special occasions. Next, hair care items! My hair is pretty wash and wear, but it also gets oily super quickly, especially when the weather is extra humid. I find that using conditioner and other similar treatments makes my hair become SUPER greasy, so a good shampoo that can manage oil production is all I ever need. It's a bit confusing, but the name of the shampoo bar is actually "New". I got this after I started having troubles with hairfall late 2017. I lost a lot of hair because of stress, and it was a big deal for me because it was SUPER noticeable. Especially in selfies. I had to keep cropping my selfies in the same way so that you don't see it, but you can clearly see it here. I knew the best way to solve the problem was to deal with my stress, but I also wanted to try a hair product that would stimulate hair growth in the meantime. 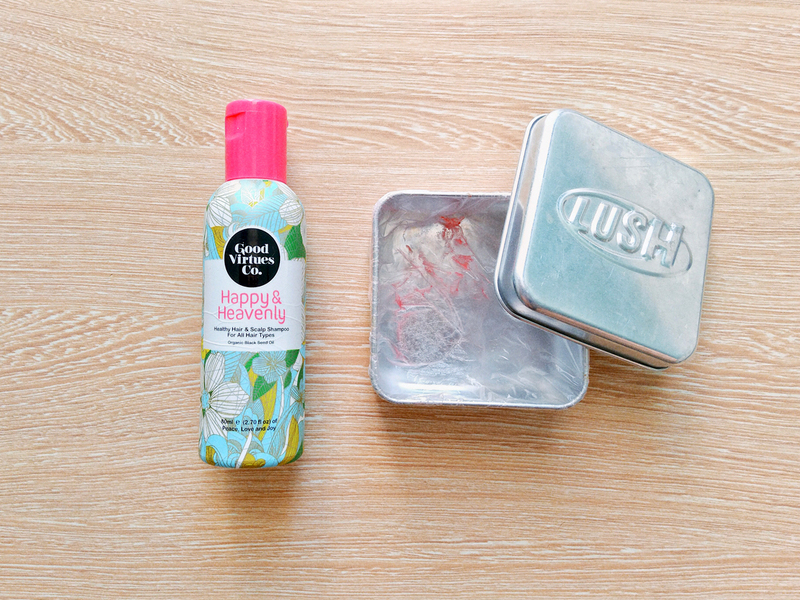 I got New because the Lush site said it did just that. (From the site: "When stress or life goes to your head and your hair starts thinning, motivate your tired scalp with stimulating clove and cinnamon oils and a peppermint infusion.") I don't know if it really helped with growing back my hair or anything, but at least it did its job in keeping my hair clean. Plus it smelled SO GOOD. Will I repurchase? I'm not sure. I'm planning on checking out shampoo bars from local businesses, so maybe next time. 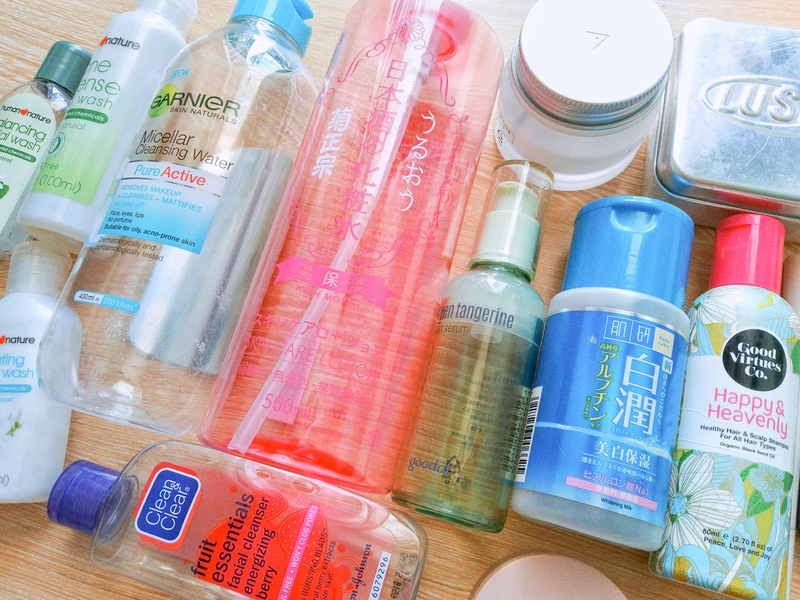 And finally, makeup empties! This year I've been staying at home most of the time, so I didn't use up a lot in terms of cosmetics. I did have a few that I had to throw out though, but I didn't include them in this post. I received this as a PR sample from Althea in early August, and it lasted me about half a year. It's a great alternative to the much–raved about Innisfree No Sebum Mineral Powder. To be honest, I personally prefer the Velvet Powder, because of its soft blurring properties. The No Sebum doesn't have that. I would repurchase, but I still have a couple of powders I'm using at the moment, so maybe in the future. My trusty Innisfree Eyebrow Pencil. Before this, I had such a hard time looking for a good gray eyebrow pencil that would suit my hair color. I used to use a black one from Etude House back when I still dyed my hair jet black, but now that my hair's grown out it's returned to its natural color. It's still black, but brown-black. That led to this dilemma: I wanted to switch to a gray brow product, but the ones that were available locally were either too brown or green. Nothing matched me at all! Which is why I was super happy when I bought this! It fit me perfectly. I used it up way too quickly though—I have quite a heavy hand so this pencil broke way too many times while I was applying makeup, thus shortening its life span. 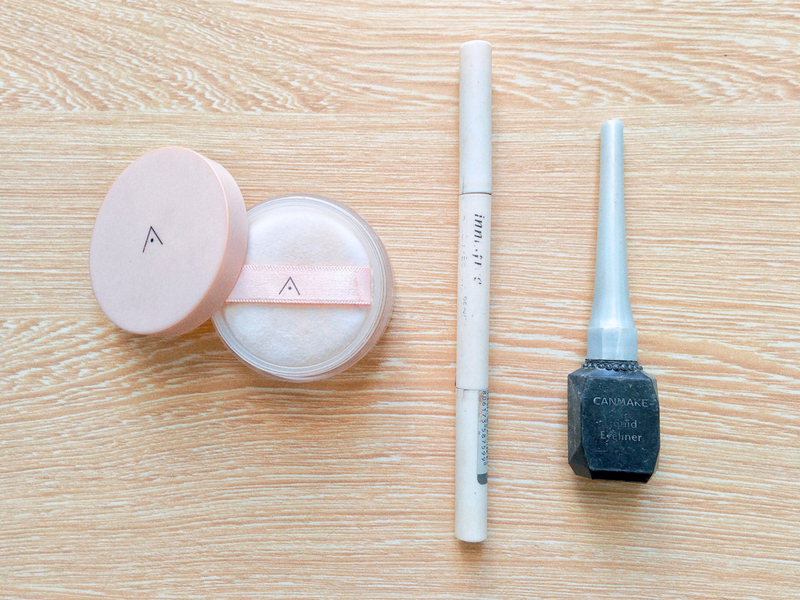 Right now I'm using a different eyebrow pencil, but I plan to go back to using this after I use that up. That's it for 2018 empties! Like I said, not a lot of products. I mean, only three makeup empties! It's because very rarely leave the house these days—last year I only went out maybe two or three times a month, and even then I didn't always put a full face of makeup on. This year I'm hoping to use up a lot more of my makeup, as I'd like to downsize my current stash. We'll see! DISCLAIMER: Items marked with an asterisk (*) were sent in by their respective brands for review. Opinions remain 100% my own. Also, this post contains affiliate links. Clicking those links before you make a purchase means that Chainyan.co receives a small commission, which helps to support the blog. Please see my full disclaimer for more information.